The first historical romance in the Seven Brides series about the Randolph brothers—and the women who tame their hearts. To penniless, friendless Rose Thornton, the advertisement seemed like an answer to her prayers, and the incredibly handsome man who hired her seemed like a dream come true. But when she first set eyes on her hero's ramshackle ranch in the wilds of the Texas brush country, and met his utterly impossible brothers, Rose decided even George's earth-shattering kisses weren't compensation enough for the job ahead of her. Never in her life had she seen a place more in need of a woman's touch, or men more in need of a civilizing influence. The Randolph brothers were a wild bunch—carving an empire out of the rugged land, fighting off rustlers and Mexican bandits—and they weren't about to let any female change their ways...not until George laid down the law and then lost his heart to the beguiling spitfire who'd turned all their lives upside down. When Rose Thornton sees the advertisement for a cook for six men, she decides to take George Randolph on his offer, after he rescues her one day at work. So not realizing what she was in for, she goes to the homestead and was shocked to see what she would have to deal with, concerning the Randolph men. When she arrives, the place is a pigsty, and wonders how any of them could live like this. There is George, the oldest. Then there is Jeff, the twins: Monty and Hen, Tyler, and the younger and still a child, Zac, who captures her heart from the first day. But out of all the brothers, it is George, whom she finds herself drawn to despite the circumstances that surround them, with their fathers having fought on both sides of the war. But despite all that, there is a sizzling fire between George and Rose, that starts to turn into love, what neither of them expected to find. George Randolph, oldest of the seven boys, have brought them back together after the war, save one, Madison. However despite them being together, they need someone to take care of the place, to cook and clean for them. So he goes into town to look for a cook and housekeeper and finds Rose, who despite her ways and expectations being different, has made things in their family different, and come together more. 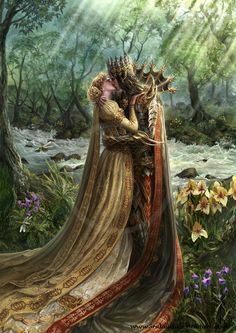 George loves his brother and is commited to them, however when he feels himself falling in love with young Rose, he wonders if he could ever let her go from his life. Rose Thornton, living in Austin, as a waitress is bemused yet drawn to this stranger who saves her, who occupies her thought unceasingly. Rose, is a woman alone, without any family left, her father having passed away in the war, now is on her own. So when she hears of George’s advertisement, she decides to take it, knowing that it would be a much better option than where she is at now. However she was shocked to see how uncivilized the Randolph Brothers, and is determined more than ever to turn them civilized, even if it kills her. What she didn’t think would happen was fall in love with Geroge Randolph who stirs up her senses like no other ever has. Rose is the first in the Seven Brides Series, written by Leigh Greenwood. I can’t count how many times I have read this book, I just love love love reading it, so I thought it was about time that I read it and do a review for it. So here I am. 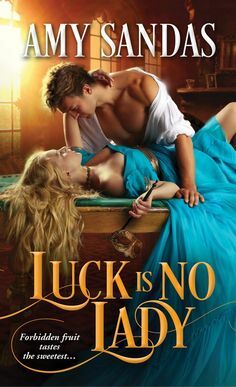 Leigh Greenwood is one of my favorites to read from if I am looking for a good American Western romance, and is a male author, which suprised me at first, since there aren’t too many male romance authors, that I actually know of, so its truly a delight to find such a talented one. Every time I pick up Rose, I can’t force myself to put it down, I just love it so much. I just love the idea of one woman civilizing six brother (technically seven, but Madison doesn’t show in this book) and can hold her own. Definitely my type of heroine, and the hero is the classic tortured, planning to never marry type, but knows deep down its inevitable. So as far as a classic western romance, Rose hits the roof! Just loved it!